What do you stand to gain from doing Oklahoma Estate Planning? Have you ever wondered what tangible benefit do you get when you do Oklahoma estate planning? Have you seen one to many pitches for estate planning that simply isn’t clear about what you get out of it? If the answer is “yes” that is completely understandable. We (us attorneys) tend to talk in broad, generalized legalese that provides little clue as to the benefits of of the services we are selling. The goal of this post is to bring it down to a specific set of benefits you can expect if you take the time to do Oklahoma estate planning. Read on to find out if I succeeded. You can nominate the person or people you desire to be guardian of your minor children. Although a court is not required to the appoint the person you nominate as guardian, practically, unless the person is disqualified based on a criminal history, the court will nominate who you appoint in writing. This means you choose who cares for and raises your children. You can structure your assets to benefit your children. If you have minor children and you pass away, the children cannot own your assets directly. However, through using a trust you can create a structure plan for the assets to be used for the benefit of your children both now and as they grow up. If you choose to do so, you can eventually direct that your assets go outright and free of any type of trust when your children become adults. 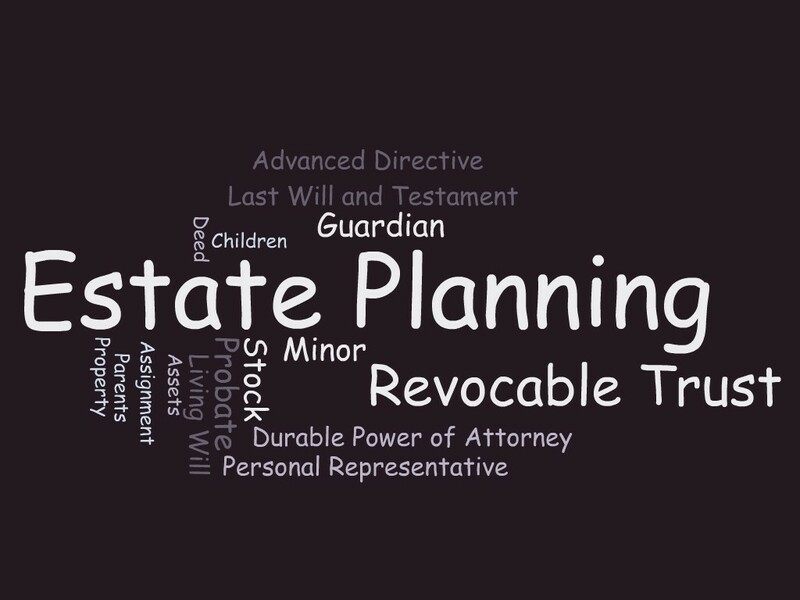 If you create a revocable trust and ensure that all of your large assets are owned by the trust, your family can avoid going through the probate process when you pass away. The probate process is public and it may cause some delay in how soon your family has access to your assets. With probate, you file a lawsuit in the County Court in which the deceased person lived and all of the documents filed in the lawsuit are publicly available. Not only are the documents publicly available, but with current technology most of the documents can be accessed from any Internet enabled computer. That means anyone can view the documents that are part of the probate case including the last will and testament which often contains personal details and other private family matters. The revocable trust is a private document that is not required to be filed with any court or government. Contrasted with the public probate process, using a revocable trust means that there will be no public access to your private family information and decisions. In the process of creating the revocable trust and related documents, we will create of an inventory of your assets, broken down by category. This list reduces the burden on children and other family members to search and gather assets after death. It also provides the opportunity to gather and index all your financial documents together; that way your family will know what accounts you have and where.